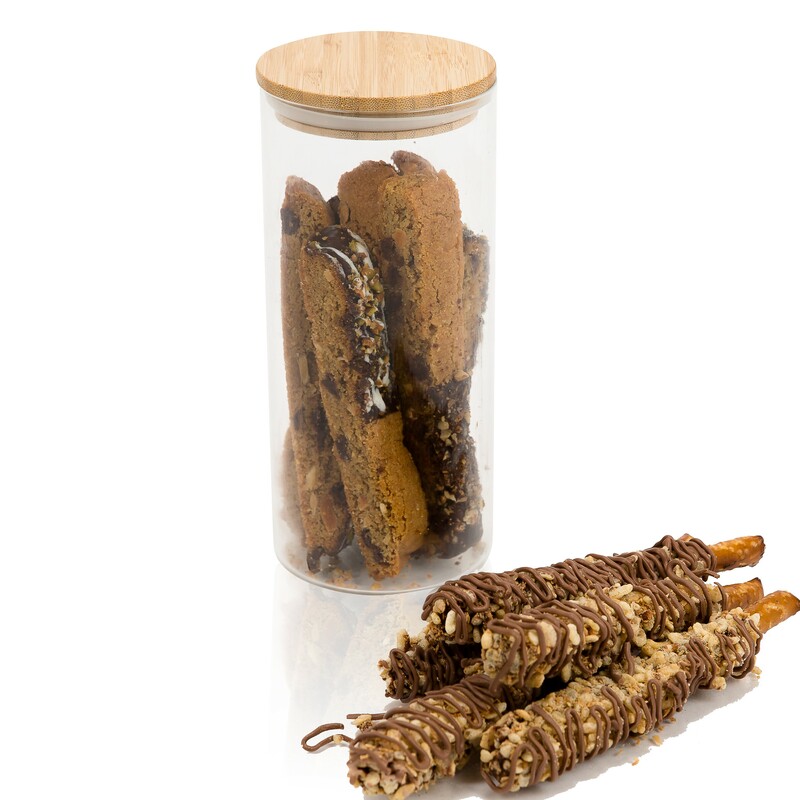 This biscotti jar can be filled with scrumptious home-made biscotti or uniquely dipped gourmet pretzels. Logo engraving or imprinting is available for this item. Contact us for more details and specifics for your custom order. This item requires a minimum quantity of 48.